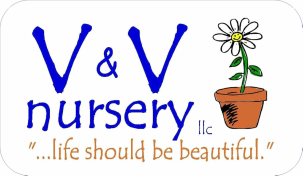 How to Garden, Plant, How to Prune, How to Care for Perennials,Annuals Shrubs - V&V Nursery Greenhouse & Garden Center West Michigan, Greenhouse, Garden Center, Specializing in Annuals,Perennials, Proven Winners, Unique Hanging Baskets and Combination Patio Pots. How should annuals be planted? often should I fertilize my annuals? How often should I fertilize my perennials? When do I deadhead my perennials? How do I deadhead my perennials? When do I cut back my perennials? How do I cut back my perennials? When do I divide my perennials? How do I winterize my perennials? What do I do if I spot pests in my garden? When is the best time to plant shrubs? When is the best time to transplant shrubs? How do I prune my shrubs? early spring as soon as the ground can be worked. afternoon. Before planting, water your plants and the soil in your bed well. Osmocote will encourage them to bloom. have been bred to be self cleaning meaning they sort of dead head themselves. It doesn’t hurt to deadhead them but that’s optional. new foliage in the spring. spacing to avoid over crowding. gradually feed your plants with the proper nutrients for a long period of time. is the best time to water my perennials? soil begins to dry, usually every three to four days depending on the weather. More often if these are grown in a container. more flowers and lengthens the bloom time. much fuller bushier plant with more blooms. (micro roots) are still left in place uninterrupted. do I winterize my perennials? do I prevent my tall and bushy plants from falling over? do I do if I spot pests in my garden? do I treat diseased plants in my garden? treat all plants in a particular bed. shape of the foliage of others adds a great deal of interest to the garden. and last a long time. is the best time to plant shrubs? growing season to become well established. has finished flowering before transplanting it. branches at their source and are made to eliminate the thickness of the plant. the new buds may dry and when cuts are flat, the ends of the branch may rot. the best time to prune shrubs? because plants have a short amount of time to heal and reestablish new growth. fade in the spring up until prior to July 4th to guarantee maximum flowering. are the exception and should be pruned immediately after flowering.